A veritable explosion in 20th-century Bible translations is occurring. Some are excellent; some tragic. Explained here is the way to choose good translations. In this fast-paced 20th century the primary languages of the Church members are English, followed by Spanish, French, Afrikaans and German. Yet God spoke to us through His prophets and apostles. How, then, are we to understand the ancient words of the prophets and apostles whose voices have been re corded in ancient languages? In translation! But who is to translate? God could have sent holy scribes inspired to translate the words into modern languages for us. But He did not. God, in effect, has decreed that uninspired men must translate His message. God is in a very real sense testing the scholars of this world to see how careful they are in translating His Word! He is not now asking His Church to do scholarly translations. But God is testing us to see how careful we are in reading and choosing their translations of the Bible! But why so many translations of the Bible? The answer, of course, is two-fold. Living languages change with the passing of generations. King James I of England did not speak the same style of English that U.S. President Abraham Lincoln spoke 2 1/2 centuries later. And we do not speak in the style of either today. That is why the language of the Authorized or King James Version of the Bible seems archaic. And the language of the Revised or the American Standard Version produced at the turn of the century seems old-fashioned. The second reason for continued translating is the explosion in archaeological and linguistic knowledge. Over the centuries the meaning of Hebrew words changed. Moses and Jeremiah did not use Hebrew words with the same nuance of meaning. And Noah's vocabulary was so different that the kind of wood the patriarch used in building the ark is still obscure (Gen. 6:14). Through archaeological discoveries and developments in linguistic skills it has become possible to recover the meaning of hundreds of words that were obscure to earlier translators. Take as an example the muddy translating, based on word-far-word, of Isaiah 66:17 in the Authorized Version of 1611, "They that sanctify themselves, and purify themselves in the gardens behind one tree in the midst, eating swine's flesh, and the abomination, and the mouse, shall be consumed together, saith the Lord." Compare that with the vigorous rendering — based on translating meaning for meaning — in The New English Bible of 1970; " Those who hallow and purify themselves in garden-rites, one after another in a magic ring, those who eat the flesh of pigs and rats and all vile vermin, shall meet -their end, one and all, says the Lord." A major difference in style! A graphically clearer meaning! Is it any wonder that the present generation demands something more than the King James Version? It was 2 3/4 centuries before the English-speaking world recognized the need for revising the Authorized Version of 1611. But the resultant Revised Version of 1881-1885 was itself in need of further revision in half a century. The answer was the Revised Standard Version of 1946-1952. Its style was so modern — its textual changes so many — that it was vehemently attacked. Yet, looking back 30 years it seems as if the Revised Standard Version — based on the old way of translating, with word-for-word correspondence — is extremely conservative. To fill the need of modern language versions at different educational levels, Catholic scholars in Britain and the United States — with English-speaking colleagues from around the world — have produced five major modern language versions in less than 20 years. The Jerusalem Bible edited by Catholic scholars in Britain appeared in 1966. It is based on the new way of translating, meaning for meaning. The New English Bible, also based on the new way of translating, is a Protestant British version that appeared in 1970. U.S. Catholics issued the New American Bible the same year. It is based on the old way of translating, but uses a vigorous vocabulary. The American Bible Society published in 1976 Today's English Version. Its simple English reads like a newspaper and is designed to reach millions of the lesser educated and those who speak English as a second language. 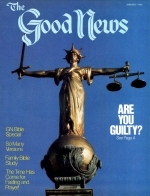 In 1978 the New International Version appeared. It is a transdenominational evangelical Protestant work, underwritten by the New York International Bible Society. And this list does not include the dozens of partial or complete translations of the Bible accomplished by individual scholars in the last 90 years. Nor does it include the issuance of The Holy Scriptures, a major translation by Jewish scholars of the Hebrew Scriptures into English. It was published by the Jewish Publication Society of America in 1917. An updated Jewish translation is in preparation. In deciding among Bible translations, people usually ask, Which one should I choose? This is the wrong question to ask! It is never wise to use just one translation. We should ask, instead, which versions or translations are the most carefully worded? Which the most effective for reading? Which preserve the original texts most accurately? And, what of the cost of buying different translations? This last question is easiest to answer. If you cannot afford a new edition, go to a used bookstore. There are almost always different versions available at cheap prices. But now to the other questions. The most carefully worded Bible should be used for study, whenever possible. But that does not mean the most carefully worded Bible is either the most accurate textually or the most readable. Translation is an art, not an exact science. It involves style of expression. Translators may be skilled stylists in language or excellent linguists, but not necessarily both. So, which Bibles should we first choose? Notice that I use the plural — Bibles. Begin your reading or study with a minimum of two versions as a safeguard. You may — and should — add others as the need arises, having altogether perhaps seven or eight translations if you follow Solomon's principle in Ecclesiastes 11:2. The wisdom of experience would require that the first two should be the Authorized and the Revised Standard versions. Both are issued in expensive and inexpensive editions. Concordances are available for both! The Authorized Version, prepared during the reign of King James I, set the standard for style in the English language. It is still the most widely used for this reason. The Revised Standard Version of 1946-1952 is a careful translation. It is an authorized revision of the American Standard Version, published in 1901, which in turn was an American revision of the King James Version of 1611. By contrast all other recent versions are completely new translations into modern English. They are not revisions, but fresh translations from the original languages. The worth of a Bible translation is to be found in its precision and accuracy of meaning. The most logical verses to use as a test are — you should have guessed! — Genesis 1:1-2. The beginning verses of any translation of the Bible reflect the character of the whole translation. Why? Because the first two verses of Genesis in Hebrew are so full of meaning, yet stated so succinctly! How a translator words these two verses reflects his understanding as much as his knowledge of grammar. In fact, the word construction in Genesis 1:1-2 is such that two translations are possible grammatically. One of the two possible translations gives a correct meaning. The other contradicts the plain statement of Isaiah 45:18: "For thus says the Lord, who created the heavens (he is God! ), who formed the earth and made it (he established it; he did not create it in chaos, he formed it to be inhabited!)" With this excellent translation from the Revised Standard Version, let us turn, now, to the different versions, and see how the translators rendered the meaning of Genesis 1:1-2. Now see how verse 2 is rendered in the Authorized Version, "And the earth was without form, and void." The Revised Version, " And the earth waste and void. "The Revised Standard, "The earth was without form and void" — deleting and at the beginning of the sentence. The Jewish translation, followed by the Catholic Jerusalem Bible and the New International Version, clarify the meaning further: "Now the earth was formless and empty." The use of the word now connotes a time distinct from "the beginning." The New International Version, in addition, footnotes the verb was indicating another possible translation: "Now the earth became formless and empty." Each of these versions is a sound translation, essentially accurate, and in keeping with the revelation of Isaiah 45:18. Now contrast the preceding with the following interpretations. "In the beginning, when God created the universe, the earth was formless and desolate" (Today's English Version). The Catholic New American Bible, "In the beginning when God created the heavens and the earth, the earth was a formless wasteland." The New English Bible, "In the beginning of creation, when God made heaven and earth, the earth was without form and void." Each of these translations, though possible in Hebrew, is unsound and contradicts Isaiah 45:18. When left with a choice grammatically, these translations chose the wrong alternative because they assumed the creation began in chaos. Two other widely used translations — James Moffatt's and Smith-Goodspeed's — similarly err in rendering Genesis 1:1-2 into English. Now look at the New Testament — Mark 1:1. The Authorized Version reads, "The beginning of the gospel of Jesus Christ, the Son of God." That is a correct translation. The Revised Version and the Revised Standard share the same wording. The Catholic New American Bible effectively reads, "Here begins the gospel of Jesus Christ, the Son of God." The New English Bible has the same effective wording. These are all direct and correct translations of the original Greek. Contrast these with the following interpretations, "The beginning of the gospel about Jesus Christ, the Son of God" (New International Version). "The beginning of the Good News about Jesus Christ, the Son of God" (Today's English Version). These translations imply the book of Mark is Mark's good news about Jesus Christ. This is a total error. Mark wrote about the good news Jesus brought — the message of Christ that the Father delivered to Him for mankind. That good news is about the Kingdom of God that is about to break into world affairs to bring peace to the earth. That good news includes the proclamation that Jesus is the Messiah, but it is much more. It is consequently wrong to translate Mark 1:1 "about Jesus Christ." "After John was put in prison, Jesus went into Galilee, proclaiming the good news of God. 'The time has come,' he said. 'The kingdom of God is near. Repent and believe the good news! "(Mark 1:14- 15). The Gospel of the Kingdom of God is the good news Jesus brought. It was not Jesus' message about Himself or Mark's message about Jesus! At this point we may make a deduction about the accuracy of the English versions. The literary tradition of the Authorized or King James Version — the Revised Standard Version and the Jewish Publication Society translation of the Old Testament — is fundamentally sound. Each of the recent modern language versions, suitable though they may be, fall short in introducing creation or the Gospel. It is for this reason that in Britain, in 1973, after the publication of the Jerusalem Bible and The New English Bible, both Catholic and Protestant scholars agreed that their "Common Bible" would be an ecumenical edition of the Revised Standard Version. That is why it is presently recommended as the first Bible to- purchase along with the traditional King James Version. Style and meaning are both essential in a great translation. The Authorized Version, thought to be very modern in its day, possessed lasting stylistic qualities. It shaped' English literary expression for two centuries. But changes in pronouns and verb endings, not to mention sentence. structure variations through the impact of modern advertising, have required new 20th-century translations. The Revised Version, completed at the close of the 19th century and noted for its accuracy of meaning, was quickly outdated in style. It used archaic verb endings and pronouns that had long since fallen into disuse in daily speech. "The Lord said to Satan, 'Whence have you come?' Satan answered the Lord, 'From going to and fro on the earth, and from walking up and down on it'" (Job 1:7, RSV). The style of The New English Bible is very short and colorful and modern. "The Lord asked him [Satan] where he had been. 'Ranging over the earth,' he said, 'from end to end.'" No other modern-language version is more forceful than The New English Bible. But what it gains through style and clarity it may lose in precision and accuracy. It is an excellent reading Bible, but never one's first choice as a study Bible. In this it parallels the modern English Catholic Jerusalem Bible and the James Moffatt translation. Both are excellent Bibles for reading and for comparison, but always as secondary study aids. The Jerusalem Bible wonderfully translates Matthew 24:22 thus, "And if that time had not been shortened, no one would have survived." The Scotsman Moffatt translated, "Had not those days been cut short, not a soul would be saved alive." For more than 50 years the Moffatt translation has stood the test of effectiveness. The New International Version is equally clear, but less effective in its verb usage: "If those days had not been cut short, no one would survive." In choice of expression the Revised Standard Version is more traditional and less clear, "And if those days had not been shortened, no human being would be saved." The word saved is a correct translation, but the meaning is not as clear as "saved alive" or "survived." Compare these translations with the less than fortunate attempt of Today's English Version (The Good News Bible), "But God has already reduced the number of days; had he not done so, nobody could survive." Not every modern-language version succeeds equally! This oversimplified "Good News Bible" is hardly more successful in other passages. "He [Joseph of Arimathea] went to Pilate and asked for Jesus' body. He took it down, wrapped it in some linen, and laid it in a grave cut in the rock, in which no man had yet been laid. It was the day of preparation, and the day of rest was just starting. "The women who had come with Him [Jesus] from Galilee, following close behind, saw the grave and how His body was laid. Then they went back and prepared spices and perfumes. But on Saturday they rested according to the commandment." This passage is by far more effective than either the Authorized or the Revised Standard renderings — though not necessarily more accurate. Joseph of Arimathea had not yet finished laying Jesus in the grave when the day of rest — the first annual Holy Day in the Festival of Unleavened Bread — had begun. This could not have been a Saturday. For after the women returned home they prepared spices and perfumes and then, on Saturday, rested according to the commandment! Only a Wednesday crucifixion, a burial Wednesday evening and a resurrection Saturday evening three days later could account for Luke's history. Two other modern-language Bibles have gained vogue. One, The Amplified Bible, was published in 1965. It is an attempt to present various possible translations within the English text — hence the title Amplified. The result is a translation that is redundant, tedious and too often not accurate. Example: "In the beginning God (prepared, formed, fashioned) and created the heavens and the earth (Gen. 11)." That is not a valid method of presenting a translation. The second, The Living Bible, Paraphrased, was completed in 1971. It is a readable paraphrase in idiomatic present-day English, but it is not a translation! It is full of imaginative details not supported by the biblical text. It cannot be relied upon! And it should not even be compared to legitimate translations. Far better to spend some time with Ferrar Fenton's translation of the Bible or Richard Weymouth's or Kenneth Wuest's translations of the New Testament. Or to read The Modern Language Bible (a new and improved edition of the Berkeley translation). A Bible translation may be accurate, but that does not necessarily make it correct. For the correctness of the reading is still dependent on the kind of text type chosen for translation. For example, the scholars under King James who prepared the Authorized Version "translated out of the original [Hebrew and Greek] tongues: and with the former translations diligently compared and revised." But when the Revised Version was prepared a whole new world-view of the Greek text of the New Testament had occurred. The Authorized Version relied heavily upon the traditional Greek New Testament text in circulation in Byzantium — the area of Greece and Asia Minor. But a significant number of passages derived from the Latin text of the New Testament were ill-advisedly retained because people were familiar with — the Latin Bible, not the Greek, prior to the 15th century. Over the past four centuries large numbers of early New Testament manuscripts and fragments with many variant readings have been discovered in Egypt and elsewhere in the Mediterranean world. Modern scholars prefer to use them for study of the text of the New Testament because of their age. The Greek-speaking church in Asia Minor and Greece has over the centuries maintained a standard New Testament text. The differences are major. The Greek manuscripts in circulation in Greece and Asia Minor — the areas where Paul preached and to which Paul and Peter and John wrote — preserve major passages of the New Testament not found in early manuscripts from Egypt and elsewhere. These passages include, for example, John 7:53 to 8:11, the account of the woman taken in adultery; Mark 16:9-19; Luke 22:19-20, the Passover account; 24:12, Peter's visit to the tomb; and Acts 246-8. These five passages — which in the Greek Church are regarded as Scripture — are only a small part of the story Altogether, the Revised Standard Version, following manuscripts from Egypt, deletes about 85 other passages, placing them in footnotes. In addition it deletes more than 650 words, phrases or sentences without any indication in footnotes. The Revised Standard Version also includes more than 430 textual variations from the standard text found in the Greek Byzantine world of Greece and Asia Minor. Of course, it is conceivable that the Greeks, among whom Paul preached and to whom Peter and John also wrote — these Greeks, who kept the Passover for centuries on the 14th of Nisan — could be mistaken about their New Testament that they read each week. And it is conceivable that the hellenized Egyptians — who were among the first to abandon the Sabbath and adopt Sunday, who abandoned Passover on the 14th of Nisan and adopted a Sunday-morning communion — it is conceivable that these people carefully and accurately preserved the New Testament without alteration! Or at least that is what most modern scholars believe! Let's put the two major text types to a test. The Authorized or King James Version preserves the reading in Mark 1:2-3 of the manuscripts in circulation among the Greeks to this day. It reads: "As it is written in the prophets, Behold, I send my messengers before thy face, which shall prepare thy way before thee. The voice of one crying in the wilderness, Prepare ye the way of the Lord, make his paths straight." All other modern English versions, with one exception, adopt the manuscript reading of Egypt, popularized in the last century by Brooke Westcott and Fenton Hort. It reads, in the Revised Standard. "As it is written in Isaiah the prophet, 'Behold I send my messenger before thy face, who shall prepare thy way; the voice of one crying in the wilderness: Prepare the way of the Lord, make his paths straight.'" Which is correct? Is it written in "Isaiah the prophet" or "in the prophets"? Look at the footnote in the Revised Standard Version. Mark 1:2 is a quote from Malachi 3:1; Mark 1:3 is a quote from Isaiah 40:3. The Authorized or King James Version is correct. The Greek-speaking Church has preserved this text correctly. The quotations are "written in the prophets" — Malachi and Isaiah. Only one of the two quotes is from Isaiah. A hasty or ignorant scribe thought he could improve Mark's text. He recalled that the quote in verse 3 is from Isaiah, so he hastily assigned the entire quotation to what is "written in Isaiah the prophet." He was wrong. He tampered with the text. This example is strong reason for not discarding the King James Version. Modern-language translations alone are not sufficient! They may be excellent translations, making outdated expressions clear. But they must be compared with the English text of the Authorized or King James Version or the translation of the Greek Orthodox New Testament by metropolitan Fan S. Noli, a rendering into English "from the approved Greek text of the... Church of Greece." And for the Old Testament it would be valuable to compare modern-language translations by Christian scholars with the 1917 version of The Holy Scriptures by Jewish scholars. Happy comparison! Happy reading! Happy study for the 1980s.